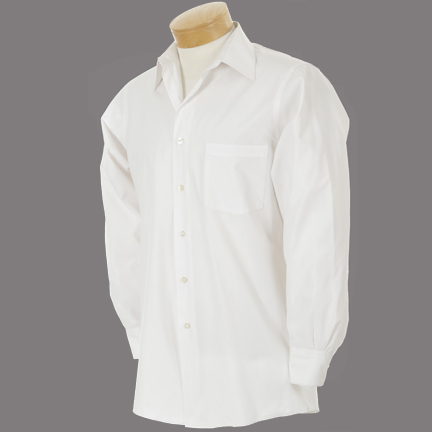 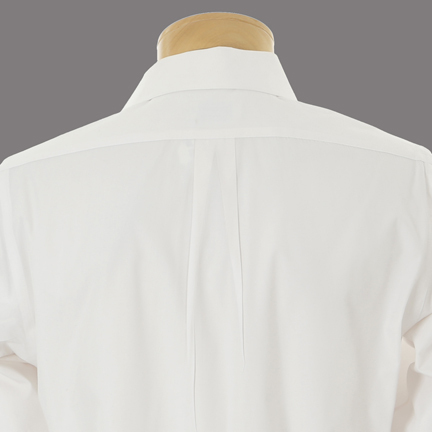 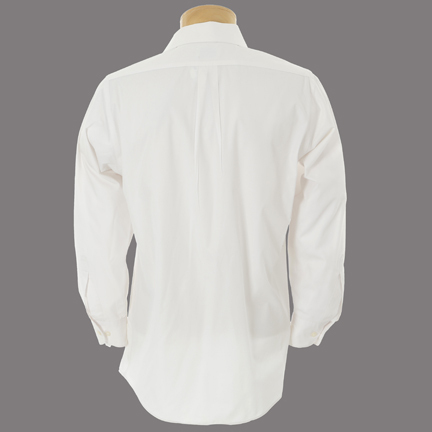 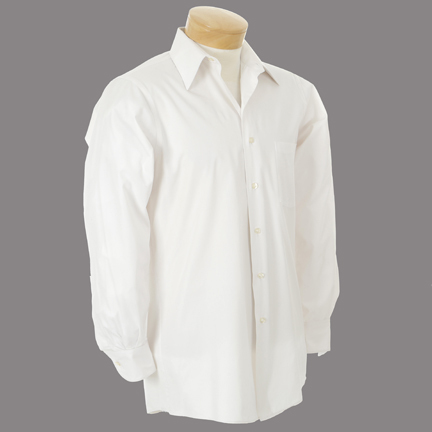 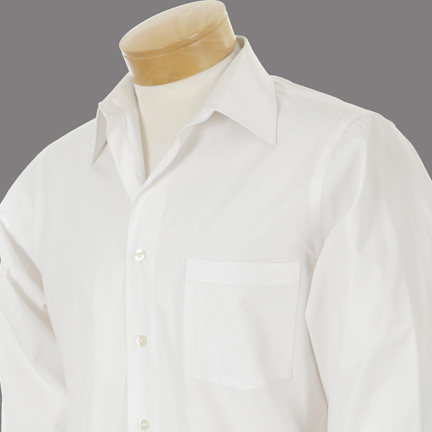 This white poplin Van Heusen dress shirt was worn by the character Tony Blundetto portrayed by actor Steve Buscemi in HBO's award winning series "The Sopranos". 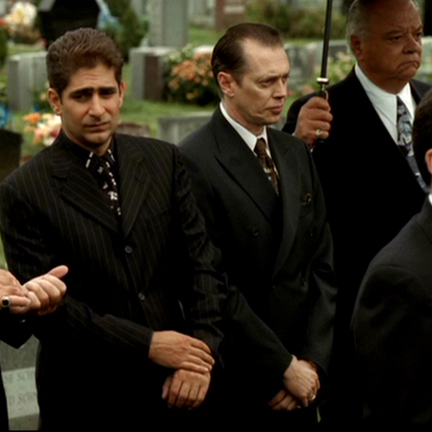 Mr. Blundetto wore the shirt in "Unidentified Black Males" (Season 5, Episode 9) to the funeral of Joseph “Joe Peeps” Peparelli (Joe Maruzzo). 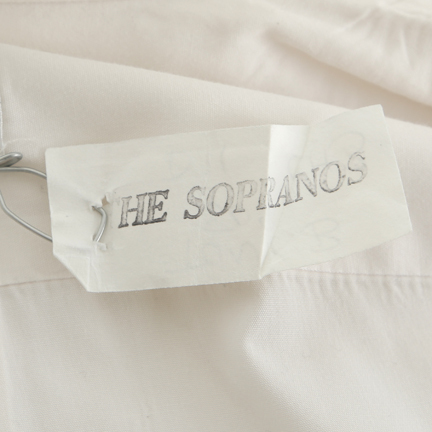 The costume is in excellent screen worn condition with Sopranos Wardrobe tag attached with, “Tony B, 509, D11 CH3” handwritten on one side and “The Sopranos” typed on the opposite side. 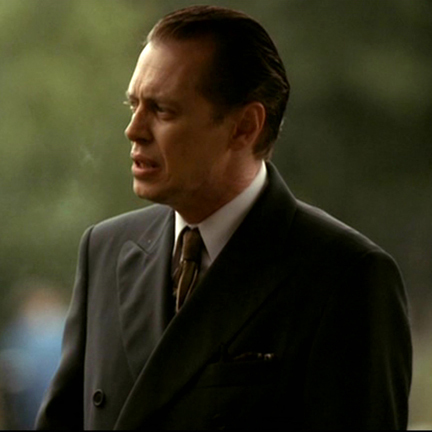 This garment was acquired direct from Sopranos Production Inc. when the series wrapped in 2008. 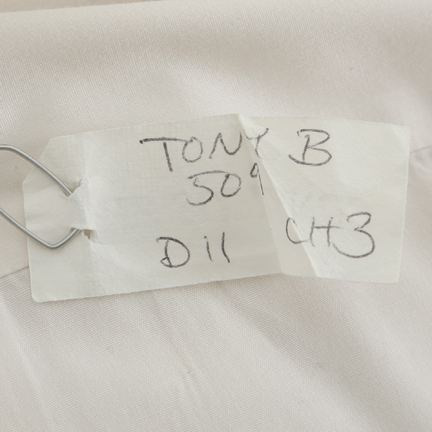 Accompanied by a letter of authenticity from the costume house. 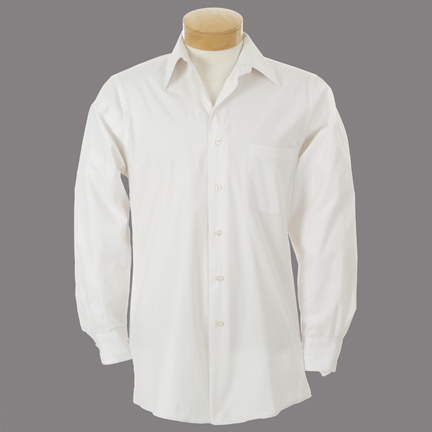 Presented by The Golden Closet, your premiere source for iconic screen used wardrobe, props, and music entertainment memorabilia.